May LeBallister married James H. Pierce, son of Elijah Pierce and Bethia Houghton, in 1869. Death Sep 22, 1864 Bridgewater, Plymouth Co., MA, USA, in the Civil War. 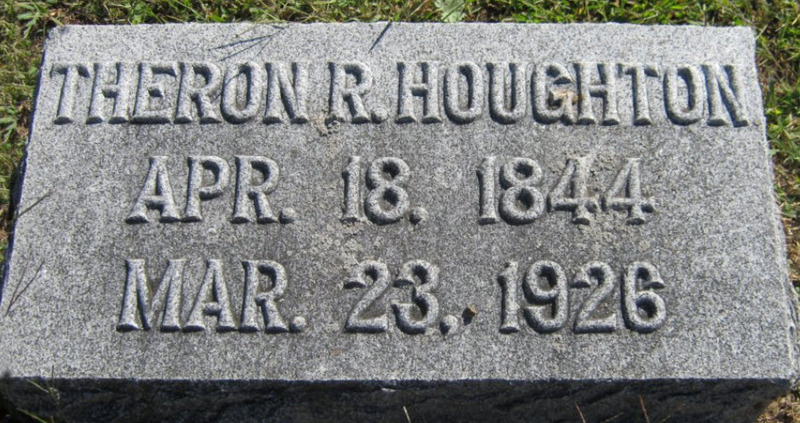 Theron Russell Houghton married Helen Josephine Newman in Feb 18, 1869. 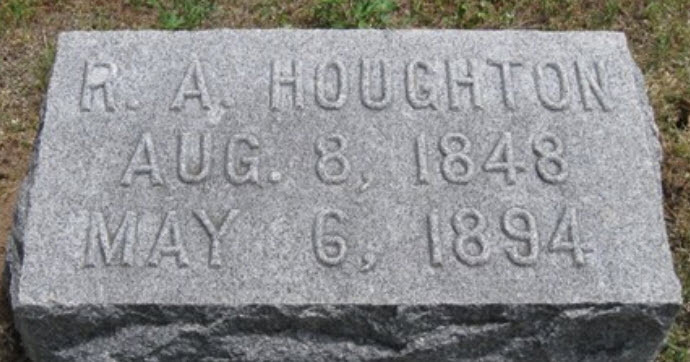 Mary M. Houghton married Albert Augustus Newman in Sep 6, 1869 at Weld, Franklin Co., ME, USA, at bride's father. Reuben Albert Houghton married Sarah Elizabeth Mantor in Jan, 1875 at KS, USA, by probate judge in Winfield Courier of Feb. 4, 1875; ; JWH, MLM: Mar 9. Harriet Frye Houghton married Wyard E. Gooch in Feb 4, 1880 at Arkansas City, Cowley Co., KS, USA. Jonathan Geary and Amity Houghton declared their intentions of marriage on Jul 16, 1750 Boston, Suffolk Co., MA, USA. Jonathan Geary married Amity Houghton, daughter of James Houghton Jr and Mary Jones, in Aug 2, 1750 at King's Chapel, Boston, Suffolk Co., MA, USA. Jonathan Geary Jr. married Hepzibah Braybrook in May 16, 1785 at Leominster, Worcester Co., MA, USA. Jonathan Geary Jr. married Mary Mahew 2nd. Hepzibah Braybrook married Jonathan Geary Jr., son of Jonathan Geary and Amity Houghton, in May 16, 1785 at Leominster, Worcester Co., MA, USA. 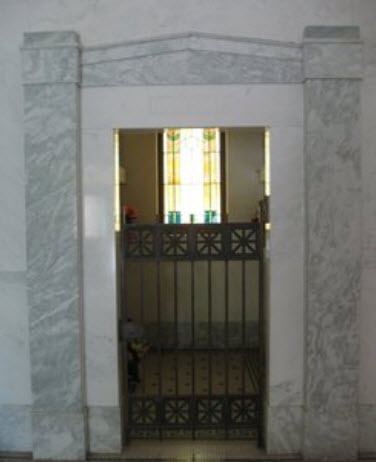 Mary Mahew married Jonathan Geary Jr., son of Jonathan Geary and Amity Houghton, 2nd. Helen Josephine Newman married Theron Russell Houghton, son of Sewell Houghton and Maria P. Jones, in Feb 18, 1869. Albert Augustus Newman married Mary M. Houghton, daughter of Sewell Houghton and Maria P. Jones, in Sep 6, 1869 at Weld, Franklin Co., ME, USA, at bride's father. Sarah Elizabeth Mantor married Reuben Albert Houghton, son of Sewell Houghton and Maria P. Jones, in Jan, 1875 at KS, USA, by probate judge in Winfield Courier of Feb. 4, 1875; ; JWH, MLM: Mar 9. 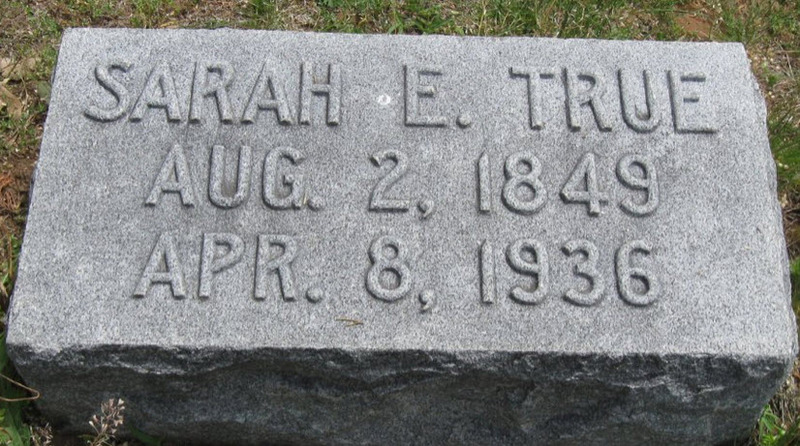 Sarah Elizabeth Mantor married Frank Arthur True in Aug 25, 1903 at Oaklahoma, OK, USA. Wyard E. Gooch married Harriet Frye Houghton, daughter of Sewell Houghton and Maria P. Jones, in Feb 4, 1880 at Arkansas City, Cowley Co., KS, USA. Florence Baxter Houghton married Benjamin Franklin Metcalf in Dec 25, 1878. Joseph Sumner Houghton married Lizzie Hortense Staples in Oct 4, 1883 mar 26 y in 1910 census. Josephine Louisa Houghton married Dennis Brown Swett in May 4, 1879 at Weld, Franklin Co., ME, USA. Benjamin Franklin Metcalf married Florence Baxter Houghton, daughter of Daniel Houghton and Sophia Elizabeth Parlin, in Dec 25, 1878. Lizzie Hortense Staples married Joseph Sumner Houghton, son of Daniel Houghton and Sophia Elizabeth Parlin, in Oct 4, 1883 mar 26 y in 1910 census. Madge Staples Houghton married Frederick B. Whittin in Feb 22, 1911 at Weld, Franklin Co., ME, USA. Frederick B. Whittin married Madge Staples Houghton, daughter of Joseph Sumner Houghton and Lizzie Hortense Staples, in Feb 22, 1911 at Weld, Franklin Co., ME, USA. Dennis Brown Swett married Josephine Louisa Houghton, daughter of Daniel Houghton and Sophia Elizabeth Parlin, in May 4, 1879 at Weld, Franklin Co., ME, USA.